Then we had to sell our house (housing bubble near-miss) and we decided to move to Seattle, and now I work for Microsoft and am very happy, and I lost touch with what was going on in the Java world. 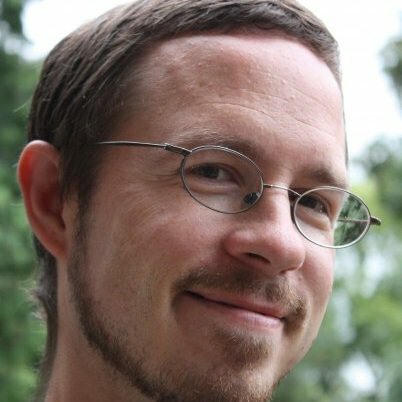 The last I heard, Gavin was working on the Web Beans JSR (JSR-299), collaborating closely with Bob, and Web Beans was going to be the best of Seam and the best of Guice standardized and pushing Java EE forwards. Ah, how lovely a picture! Bob, if you’re honestly trying to argue that Guice – which relies upon procedural Java code to specify dependency-related metadata – is as inherently toolable as a system that allows all dependency-related metadata to be specified using annotations (or XML for that matter), I’m just going to leave this discussion now, because that’s absurd. This is a little disingenuous. As you know, the lead of a JSR has absolute power. Most leads don’t abuse this power. They listen to their (highly representative) EG, achieve consensus, and very rarely make executive decisions. I think you’ll agree that you are more of a dictator. Yes, you took what you thought were the best ideas from Guice, but I found working with you as a lead and changing your mind on anything to be an exercise in frustration. I can’t count how many hours I wasted convincing you that Seam-style injection was fundamentally flawed only to have you switch to using proxies which have their own set of problems. I even brought Josh Bloch in one time to help settle a debate, but you cursed at and insulted him. I sincerely wish I had that part of my life back. By joining your JSR, Spring would not only validate it, but they’d have to give you absolute power over themselves. Based on my experience, I wouldn’t recommend they do that. Zow! What’s also strange is that this comment shows up in my RSS feed for Gavin’s page, but I’m not seeing it on the comments web page itself. So if you want to see the fur fly, go straight to the feed. This is the kind of thing I miss the least about the Java world. I theoretically admire the openness of the JCP/JSR process, and in theory it should lead to better results than a more closed process. But in practice, normal human perversity just gets in the way — the kinds of personalities that drive specs forwards tend to be very focused, and prone to conflict. So now it looks like there are going to be multiple JSRs describing dependency annotations, and the two people who could best work it out seem to be at each others’ throats (as far as their respective specs are concerned). Disappointing. Well, it seems to me that you are mixing political levels here. I propose that, subjectively, the “back-room politics” you refer to are roughly analogous to the internal politics at Microsoft. Which means that the JSR process still has the benefit of supporting an open and visible dialog up to that point – the fact that back-room politics can derail an openly made decision is a flaw that still/just needs to be fixed. Microsoft has the potential to deliver great work because they could side-step the back-room politics and replace it with the gifted benevolent dictator (what Steve Jobs is to Apple) who could prevent the political process from compromising the design.As the years go by, I find myself using more of the work product of small teams lead by visionaries than I do the standardized API’s built by committees.